In the i-DTEC unit, the external design has been enhanced, with additional cast ribs added to the surface of the cylinder block. These ribs increase structural rigidity and, consequently, improve the management of noise, vibration and harshness. The lightweight dual-overhead camshaft (DOHC) cylinder head is made of pressure-cast aluminium alloy. In this re-engineered unit, the head requires less reinforcement thanks to improved cooling in the block, so the thickness – and therefore weight – of the aluminium structure has been reduced. The diesel engine is only available with a 6 speed manual transmission and the company says that it returns a fuel efficiency figure of 26.8 kmpl which for a sedan this size is astounding. There’s also a 1.8-litre petrol engine on offer which is good enough for 138 bhp. This engine develops a peak torque of 174Nm and will be available only with a CVT. The company says that the petrol engine comes with improved fuel efficiency and with the combination of CVT and reduced load resistance. According to Honda, the Civic petrol returns a fuel efficiency figure of 16.5 kmpl. In fact the big news here is that the petrol engine used by Honda in the Civic is already BS6 compliant and can be easily run on BS4 fuel. The Honda Civic is all set to be launched in India soon and there’s been a lot of anticipation about the return of the badge to India. 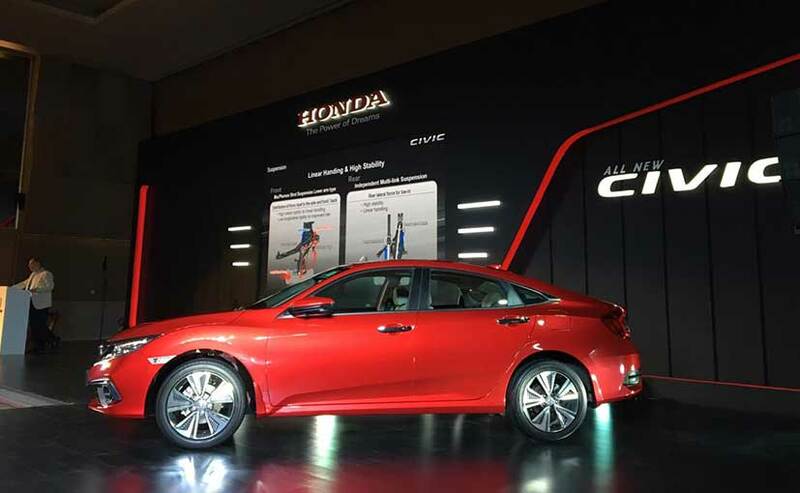 With its athletic new stance, advanced aerodynamic styling and available LED lighting, the new Civic Sedan boasts a youthful, premium and sporty new style that advances Civic design into the next era. Its windswept lines are complimented by the most comprehensive aerodynamic packaging of any Honda to date. The car is 4656 mm long, 1799 mm wide, 1433 mm tall and boasts of a wheelbase of 2700 mm. 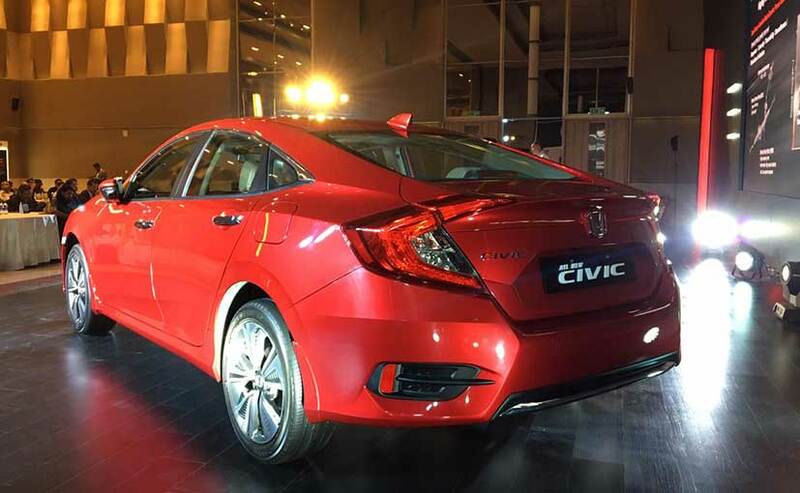 In its 10th generation now, the Civic will certainly make an impact in India because this time it gets a diesel engine. The new generation of the Honda Civic is powered by a fuel efficient 1.6-litre DOHC i-DTEC diesel engine developed under Earth Dreams Technology. This engine produces 118 bhp and develops 300 Nm of peak torque which kicks in at 2000 rpm, so we expect it to have less lag. The 1.6 i-DTEC employs a turbocharger with a new design. It features a variable-nozzle design and its rotational speed is precisely controlled by the car’s electronics, minimising turbo lag and providing an optimal combination of low- to mid-range pull and high-speed performance. But we’ll know more when we get drive it.